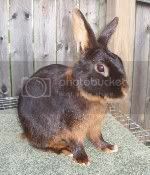 Netherland Dwarf Listings are on a separate page. All listings were checked and believed to be current as of April 2013, or have been added since. We are trying to keep this directory free of expired websites. Please feel free to report any dead links you find. This directory is a courtesy service. We at the Nature Trail do not know all of these breeders and cannot personally endorse them. If you are a breeder of rabbits and would like to be listed on this page, simply fill out this submission form! Southern Illinois – Carlye, IL. Raising rabbits for over 20 years. 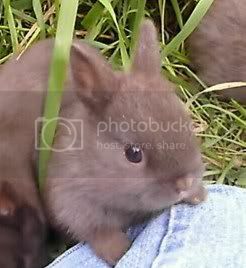 Raising Holland Lops, Netherland Dwarf, English Spot, Standard Rex, New Zealand. Chinchilla,Chocolate, Lilac, Opal, Otter, Sables, and Seals. Pure bred New Zealands: white, black and blue available. Or email paintmyspirit@gmail.com for pictures. Bay City, Mi. Near Midland and Saginaw, MI. I breed Jersey Woolies in tan, agouti, broken, and selfs. 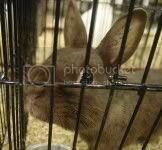 I breed to quality show rabbits, and any thing not able to be shown is brood or pet quality. All my rabbits are handled and i do give 4h and multiple rabbit discounts. Breeding Polish in Black, Blue, Broken, Chocolate, and REW.